Friday Night (24th) ;Show registration 2 -6pm Cruise to Snapkas Drive In 6pm until?? Sunday (26th); Car show until 12 noon, Church service at 10am, Awards start at 12 noon. 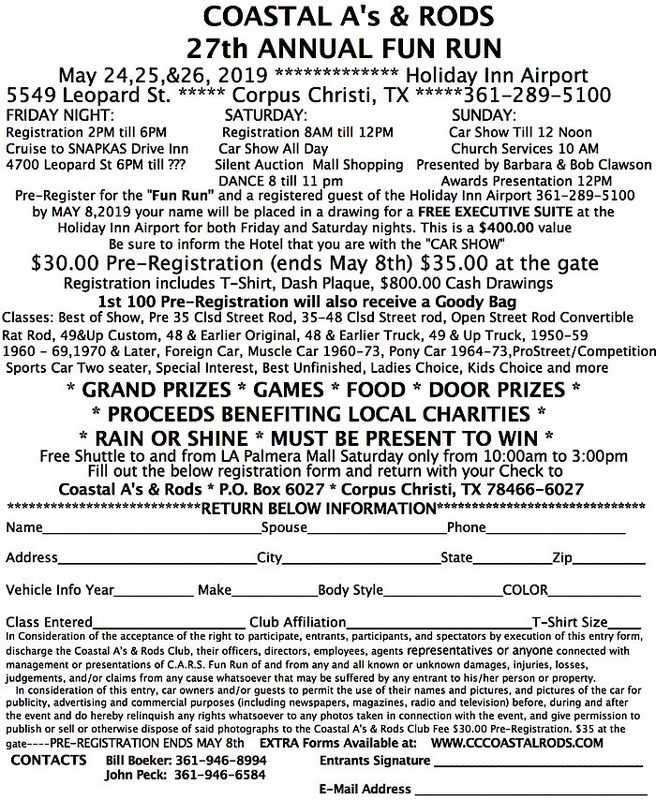 Grand Prizes, Games, Food, Door Prizes, Proceeds Benefiting local Charities, Rain or Shine, Must be present to WIN .